This is the general news archive. Note however that most news relating to Camps and other Events will not be found here, as it is normally placed on the page that exists for each Camp/Event. We hope you've had a great summer break. BB restarts this Thursday 13th September! Due to building works at our Church, we will be meeting at a different Church this Thursday 13th September. If you require transport to Providence, please let us know. Read more about We're back this Thursday! We hope you've all had a great summer break! Boys' Brigade restarts this Thursday (14th September) at usual times, back in uniform. We'd love you to join us, see our Joining us page for details! Read more about BB restarts this Thursday! We're back this Thursday (8th September) for the new Brigade Session, at usual times and in uniform. Existing members will have received letters and Annual Consent Forms in the last few days. Please return the forms on our first night back. New members are always welcome, please see our Joining us page for details. 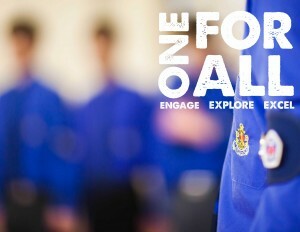 This year The Boys' Brigade is running the ONE for All campaign, which challenges each Section to grow by one additional member. With our growth over the last two Brigade Sessions, we hope we can meet or surpass that target. We have now finished for the Summer break. We will restart for the new Brigade Session on Thursday 8th September. Any new members will be made welcome - see our Joining us page for details - and we look forward to seeing everyone back, and new members. We will be restarting on Thursday 7th January, meeting at the usual times for each Section (these can be found on our Joining us page). We hope you have all had a Merry Christmas and a Happy New Year. We will not be meeting on Thursday 29th October as it will be the half-term break. On the following Thursday 5th November we will restart as usual. Having held our Christmas Party on 18th December, we're currently on our Christmas & New Year's break. In the new year, we will be restarting on Thursday 8th January, at usual times and in uniform. The above applies to all Sections. On behalf of the Company, may I wish you a Merry Christmas and a Happy New Year. Anyone looking to join in the new year will be made welcome - see our Joining us page for details. This coming Thursday 19th June, all Sections will be going out to Clent. Please arrive on time (18:00), so that we can leave in good time. We expect to be back and finished by 19:45. As is the case for most weekly meetings this side of Spring Camp, uniform should not be worn. 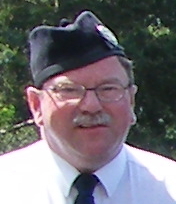 It is with great sadness that our Company's former Captain Jonathan Salter passed away yesterday. This coming Thursday 12th June, all Sections will be going to Kinver Edge for the evening. Please arrive on time (18:00) such that we can leave in good time. We intend to arrive back at The United Church in Lye for 20:00. We'll be going for Fish & Chips on the evening, so Boys should bring some money for this.